I have an idea to organize in a single place all the formulas of how badges affect survivors (I have found some formulas in several topics on the forum). Thank you guys for that awesome info! Actually, I have only no idea of how Crit Damage is calculated. Could anyone be glad to help me and other players to understand that? @DLich, @OneLessTitan, @jimmorrison369, anyone else? P.S. I edited the formula (@kepler, thanks for your comment) and saved the initial topic and the topic disappeared. "Your discussion will appear after it is approved" but the previous discussion, which I posted a couple of weeks ago, has not appeared yet. It looks like an issue. I think @Monsuta figured it out but he was deleted. But If you look through his old posts you may find it. I finally found out what that is. The forum has a built in anti spam system. If you edit a post too quickly and resend, or too often in a period of time, it automatically labels the post as spam. Is they do not seem to be released on any particular timeframe, I have started to copy my post if it’s an edit. That way when and if that appears again, I simply repost as a new message. Hope that helps for future postings. I add +damage to those who are meatshields but do less damage. Ie bruisers and assaults. Just as I add +crit damage to shooters hunters and scouts because they are a guaranteed crit on charged attack. All others are simply possible crit, so I tend to add +crit chance to them. However, I am a new guy, so the lords amoung us may disagree. > P.S. I edited the formula (@kepler, thanks for your comment) and saved the initial topic and the topic disappeared. "Your discussion will appear after it is approved" but the previous discussion, which I posted a couple of weeks ago, has not appeared yet. It looks like an issue. > I finally found out what that is. The forum has a built in anti spam system. If you edit a post too quickly and resend, or too often in a period of time, it automatically labels the post as spam. Is they do not seem to be released on any particular timeframe, I have started to copy my post if it’s an edit. That way when and if that appears again, I simply repost as a new message. > Hope that helps for future postings. If this happens, you can always pm a mod and ask them to check the spam filter. The main question about crit damage badges is which of them — % or flat — is applied first. Also this @jimmorrison369's comment makes me think that the second formula is closer to be truth. @msapaev go in this thread, as said @Monsuta figured it out probably. Awesome collection @msapaev , greatly appreciated. I might well be wrong, but I don’t think ‘badge %’ works on top of ‘badge flat’, same for damage, health and crit damage. @Putchuco, if I put the Badge % before the Badge Flat in the formula, the damage will be less than the previously calculated value (which is wrong too). 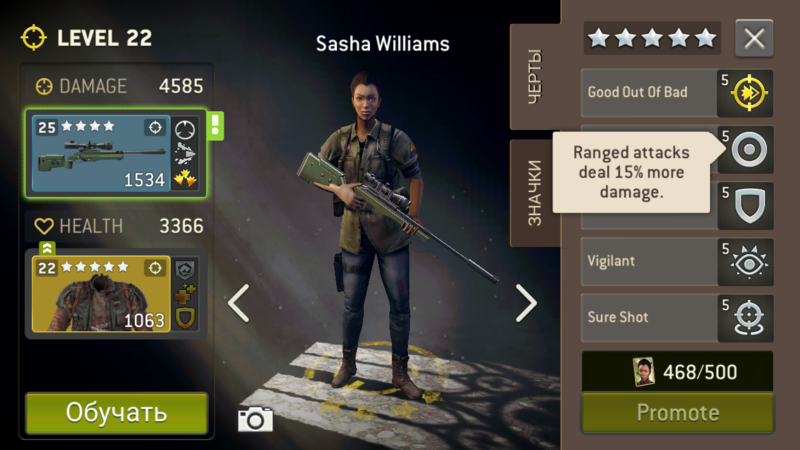 @msapaev , a heroes base damage and health should be higher than a survivor afaik. @aquila, it seems you are right. A, I wondered where this thread left. Actually, I have only no idea of how Crit Damage is calculated. Could anyone be glad to help me and other players to understand that? Yes, I know how the critical damage is calculated. I don't know for sure the multipliers though. @Monsuta tested that. I Believe a assault and bruiser have a 125% critical damage. Hunter, shooter, scout and warrior have 150% I believe. But a scout charge attack does about 225%. (again all above numbers are not tested by my. I only tested on assault for a bit to find how to fit critical damage in the damage formula. It is, and anyone can simply test this if they are willing to spend 30 gold for removal. For damage, the flat value get's increased by the damage% in the end. @jimmorrison369, it seems the ruthless is added to the other critical damage multipliers, isn't it? At first, I could not understand why you added Power Strike to the crit damage multipliers but then I realized that the trait does not affect the full damage shown on the survivor screen. 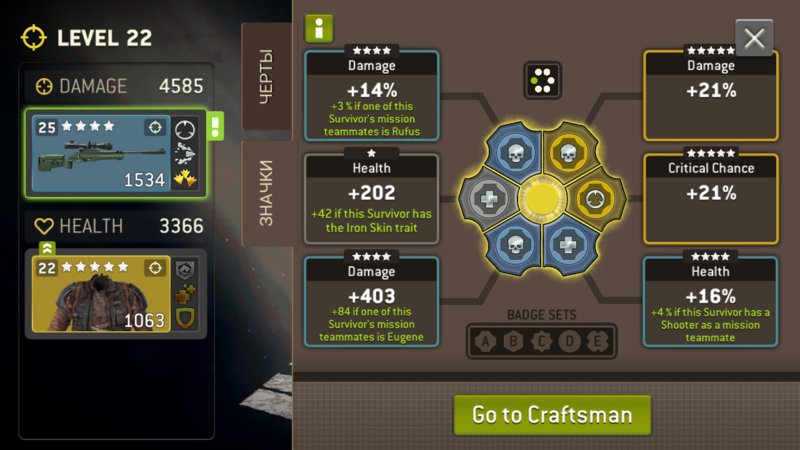 For simplicity, I replaced the damage formula with the damage shown on the survivor screen (Full Damage). Does the formula still valid? Now, I'm not sure about the weekly class boost, it can be either as an extra multiplier or together with the %badges. I suspect it to be seperate, but before flat badges. Power strike may be separate too, not sure about that one. If you want a challenge, try and solve for this damage. I didn't test this one on every level. I'm pretty sure about most of it. This is my best guess without testing extensively. > I think @Monsuta figured it out but he was deleted. But If you look through his old posts you may find it. The best damage badge without is about 19% or 700.
which means %badges are better when your damege(without badges) is higher than 3600. The obvious seems not to be the reality, @msapaev . The consensus in this thread seems to be that Iron Skin and Defensive Stance multiply, and do not stack.